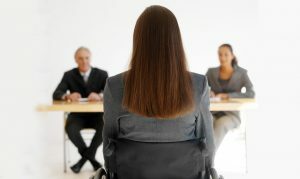 Human Resource as a concept has undergone to its booming fame in the last couple of years, yet that’s not the end of it. The field of Human Resource is currently – the most prominent and widely adopted phenomenon that businesses have embraced. And why wouldn’t they? After all, human input plays a significant role in the business proceedings. 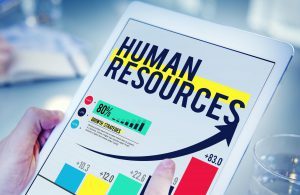 But, to attain quality human resource within an organization, there should be HR professionals with a distinct eye for picking up high caliber individuals. To run a Human Resource Agency or even an in-house HR department, seamless communication is the need of the hour. All HR representatives have to be constantly in touch with the job seekers to make sure that positive interaction takes place. 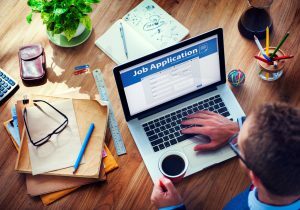 Despite knowing the fact that HR departments and agencies prefer making phone calls to the job seekers and other potential candidates for job openings, we have seen how effectively text messaging has been utilized for instant communications. Not just simply text messaging is implemented for HR communications, on a broader level, text messaging is used for multiple reasons. Let’s discuss 6 most profound of them! For hiring better-performing employees, interviewing them is the first step. You must be aware of the struggle and the required effort to get an ideal candidate for the job. Whether you are an HR representative or even if you run a human resource agency, it is essential to schedule job interviews on calls and later confirm it with a text message. With text messaging for human resource, you can roll out high volumes of text messages, also you can make a targeted list of those candidates whom you think will be suitable for a particular job. Keeping interview schedule in mind, you can use text messages for interview reminders as well. HR departments have a database of all the candidates and they tend to segment their list before rolling out confirmation text messages. Once you finalize everything, like an interview, test timings, day, date and etc, you can confirm all the job candidates via a simple text message. By doing so, you will generate a textual proof that an understanding has taken place and later that same text message will serve as a reminder to your job candidate. No one has control over uncertain events or accidents. And there are times when things do not work the way we want them to work. Same applies to the Human Resource operations. Your human resource agency can send last-minute cancellation text messages to a candidate. You should understand that candidates can get furious if they land onto your office and at the last moment you apologize to them for not entertaining them. So, you should always send last-minute cancellation text message which will cause no bother for the job candidates. And by doing that, your reputation will face no real harm. Human Resource agencies go through hundreds of calls and texts daily. And a great way to promote your HR services is to spread your core values with text messaging to a wide range of companies. Not simply this, you can also roll out promotional messages whenever you are participating in a job fair. Most of the established companies tend to conduct a job placement opportunity within their premises. On this point as well, you can use text messaging as a tool for promotional activities. Another important element for human resource agencies is the facilitation of updates. You should always keep your clients and job candidates updated with all the latest happenings. And the best medium to ensure everyone’s updated is the platform of text messaging for human resource. Without any exaggeration, we can assume that around 70% of the text messages by an HR department come via shortcodes. A shortcode allows companies to send and receive bulk SMS and to further expand their reach. You can use shortcode text messaging for human resource management and as a result, you will face no delay in real-time communication. For client companies and job candidates also, remembering a shortcode becomes really easy and they can quickly recognize from whom they are receiving all the text messages. You should too buy a shortcode for implementing text messaging services for human resource agencies. Just by keeping it in the final phase, guiding job candidates to the exact location is by no means of the secondary importance. You are responsible for guiding job candidates for the particular location that you have asked them to come in. Adding a Google Map can be a handy move, you should always add locations to your text messages for the convenience of a candidate. As a human resource representative or even if you run a human resource agency, you should never forget to miss on the opportunity to maximize text messaging for human resource operations. We have discussed in great detail 6 of the most profound ways that human resource agencies can use text messaging. To excel in the domain of human resource, you and your agency must pay special attention to these six elements. Clearly, text messaging for human resource will help in reducing the complexities during the recruitment process for your agency.